San Zaccaria (Ravenna), 4 October 2016 - A few hours before the end of the first day of the championship the staff available to Gianluca Nardozza continues to expand and this time it does so with an absolute first time in Ireland. The red and white society has in fact started the practices for the membership of the defender Shauna Margaret Peare, who for some time was training under the orders of Mr. Nardozza. 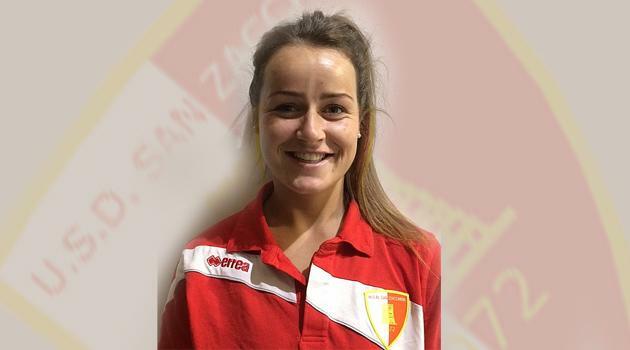 Shauna, born in Dublin on 10 September 1992, started playing football when she was just six years old on her city's team. Since then, his career has been a crescendo that brought her to the American university championships and to Texas with the Brownsville team. AGSM VERONA FIRST ALSO IN FAIR PLAY! After the conquest of the Scudetto comes another important recognition for the Agsm Verona. The Gialloblù club for the second consecutive season has in fact won the Discipline Cup, according to the official ranking published by Federcalcio. The team from Verona was the most correct in the Serie A championship with only 5,35 penalty points ahead of Tavagnacco (5,40), Pordenone (5,80) and Brescia (6,80). In the last position we find the relegated Cuneo with 31,85 points, preceded by Bari, Florence and Torres. The ranking takes into account the warnings, expulsions and disqualifications imposed on athletes, technicians and managers, but also the score achieved by the companies regarding the correctness of the public and the behavior held in the races of the top league. The Gialloblù club wins the record in the Fair-Play for the sixth time. In the company's gold list, in fact, the achievements in the sports seasons include 1998 / 99, 2006 / 07, 2008 / 09, 2009 / 10, 2013 / 14 and finally 2014 / 15. President Bressan, mister Longega and Carlotta Baldo received from the Veneto Region and awarded by the president of the Ruffato Regional Council for the conquest of the tricolor. They are already in the fifth Scudetto and now look at the UEFA Women's Champions League: the girls of the Agram Verona, 2014-2015 Italian champions, received this Wednesday 3 June at "Palazzo Ferro-Fini" in Venice the homage of the President of the Regional Council of the Veneto Clodovaldo Ruffato. 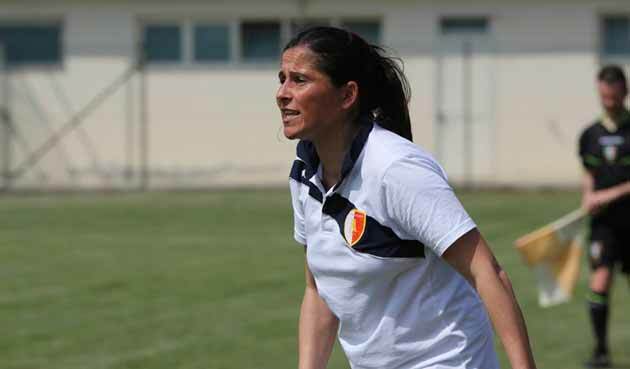 "You are an example of commitment, tenacity and success that honors the Veneto sport and the young generations", emphasized Ruffato, highlighting the test of character, the effort and perseverance shown by the girls of Verona football, succeeding to combine school or work with daily training, without benefiting from the high rewards reserved for professional colleagues. 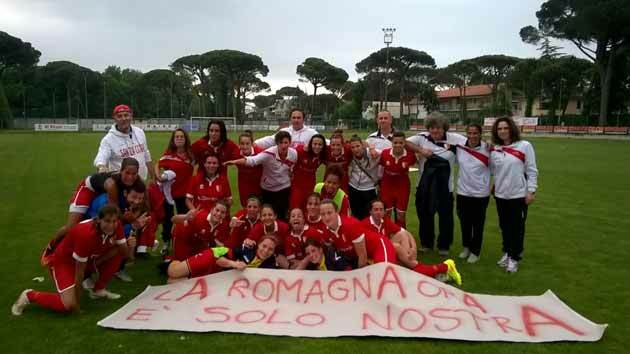 As is customary for the past four years, the Cuneo Calcio Femminile concludes the season of the youth sector by organizing a free stage reserved for girls born in the years 2000-2001-2002-2003-2004-2005. 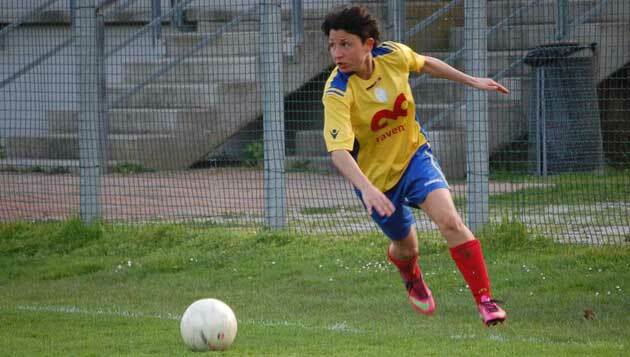 SAN ZACCARIA (IZ) - San Zaccaria will start again with Marinella Piolanti on the bench in the 2015 / 2016 season. It is therefore official to reconfirm full marks of the coach who in the last four months has led, in tandem with the sports director Lorenzini, the red and white team to a stratospheric salvation in Serie A. A salvation from applause achieved thanks to a continuity of excellent results for a newly promoted first experience in the category with 14 points collected in the last 8 days and the final climax in the play-off play-off won in comeback against the Riviera of Romagna away, decided by the goals of Barbieri and Galletti in the second half: "Piolanti has proved an excellent coach, able to manage and grow the group in the second round. 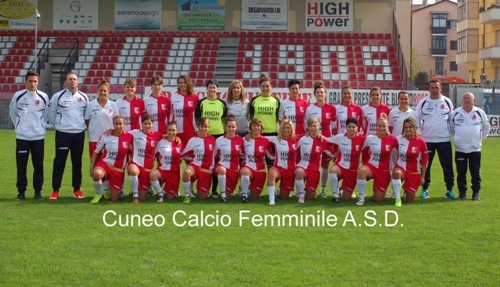 The 27-2014 season of the Cuneo Calcio Femminile officially ended on Wednesday 15 May. The girls of Mr. Petruzzelli last night, in fact, supported the last training session with a friendly against the Alba Women's team. THE BEST DEFENSE ... IS THE DEFENSE! For many the best defense is the attack, but in football, you know, the opposite holds true ... 1 Rule number: do not take a goal! 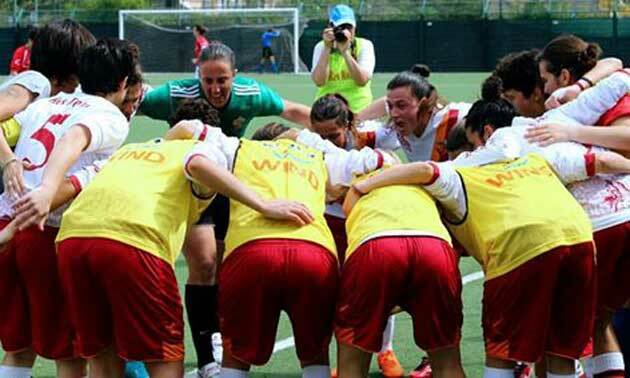 And the extra weapon of Res Rome was certainly the defense, with the Giallorossi who boast the second best defense of Italian women's football, calculating both the Italian Cup and the championship. Pipitone and companions have undergone a total 24 goal (23 in the league and only one in the Cup), exactly the same as Verona and Mozzanica, and only one more than Brescia, which however played in the Italian Cup 2 races less. Among the protagonists of the primacy of the Giallorossi the goalkeeper Rosalia Pipitone, already winner of the "Golden Girl" as best goalkeeper of last year, author of another great season to defend the Capitoline door. Among the insiders it is defined by everyone, together with the colleague Gritti del Mozzanica, the strongest door in the championship, even if strangely it has never been taken into consideration by the staff of the major national team. Read more: THE BEST DEFENSE ... IS THE DEFENSE! MILAN MARITIME - Romagna is still red-bones in Serie A. The San Zaccaria against all odds makes the company by stretching the Riviera di Romagna in the heard derby play out and signing a salvation masterpiece. This is still a big party for President Macori's company, one year after the historic promotion in the top flight; yesterday was written another indelible page of its history because the red and white was the only newly promoted to be saved, a goal deserved for a team that grew steadily during the arc of the championship and able to play it openly even at the with the big players in the group. And yesterday, in a stadium Dei Pini, crowded by many fans, came yet another demonstration of strength and character of the group led by the tandem Lorenzini-Piolanti. In the first fraction in fact the challenge was stuck on the tracks of balance with rare occasions on both sides: the only upheavals are Riviera shore with an attempt to high Caccamo (20 ') and a poisonous cross shot on punishment of Tucceri Cimini foiled in corner by Bonaventura (35 '). MILAN MARITIME - The Riviera di Romagna comes down to hell, defeated by San Zaccaria in the derby salvation played at the Stadio "Dei Pini" in Milano Marittima: 2-1 the final in favor of the red and white training, at the end of a balanced challenge, with the first thrill at 6 'on the left wing of grass Galletti that was turned off at the bottom, then little to report until the final minutes of the first fraction, with the yellow-red-blue that responded to 35' with a free kick from three quarters Linda Tucceri Cimini to fish the inclusion of Kristina Erman on the far post, which came with a moment of delay to the winning deviation. The race was unlocked shortly after: percussion on the left of Patty Caccamo who returned to dribbling and was spread by Pondini for the penalty in favor of the landlord: Luisa Pugnali on the spot that kicked on the post, but Patty Caccamo collected the loose ball and with a lightning-fast right he carried the ball at the intersection of the poles (40 ').